Shortly following two homicides in Oceano, sheriff’s deputies found a deceased man inside a home in the South County community Saturday night. 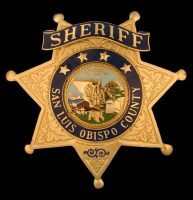 The latest death is a “suspected suicide,” according to the San Luis Obispo County Sheriff’s Office. An initial KSBY report, however, cited the sheriff’s office referring to the case as a suspicious death. Deputies found the man’s body at about 10:30 p.m. after responding to a welfare call at a home in the 1600 block of Front Street, according to the sheriff’s office. Authorities are withholding the victim’s identity as they notify relatives. The death marks the third time this year deputies have found a man dead inside an Oceano home. In January, 90-year-old Oceano resident and community activist, Larry Bross, died following a brutal attack in which he was stabbed and beaten inside his home. Then this week, a man was shot and killed early Wednesday morning. Daniel Fuentes, Sr., 41, was reportedly shot outside a home in the 2200 block of Beach Street. Following the shooting, Fuentes went to a neighbor’s home and knocked on the door and told the residents inside that he had been shot. Fuentes then collapsed before giving any more information about the shooting. In the aftermath of Fuentes’ death, some witnesses reportedly said there was a white sedan in the area at the time, and the shooting could have been a drive-by. Sheriff’s detectives have not made an arrest in either of the two homicide cases, and it is unclear whether they have identified a suspect or suspects.